Ben has read 10 of 30 books. Ben Monopoli lives in Boston with his husband, Chris. 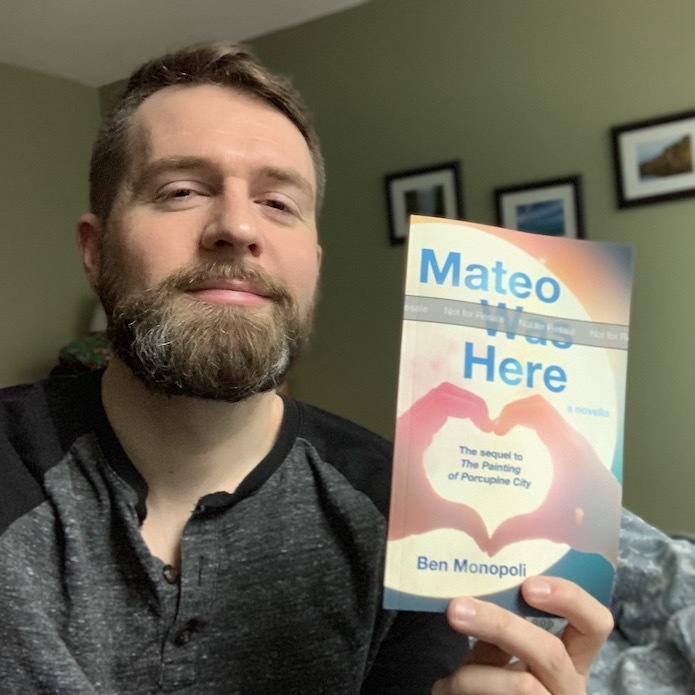 His newest book is Mateo Was Here: A Novella. To ask Ben Monopoli questions, please sign up. Last night I finished a third book by you.. And must say I hated you at the end...it was so touching I couldn't sleep...THE CRANBERRY HUSH.. Great job ..and yes I had to keep my husband up to tell him about Griff...thank you. I miss them already Question is...do you ever write sequels ? We’d love your help. Let us know what’s wrong with this preview of Barracuda by Christos Tsiolkas. In terms of Crichton's posthumous swashbucklers, not as good as "Dragon Teeth." Starts off rich with detail but feels more and more like a first draft as it goes along. We’d love your help. Let us know what’s wrong with this preview of Pirate Latitudes by Michael Crichton. We’d love your help. Let us know what’s wrong with this preview of War by Candlelight by Daniel Alarcón. Gorgeous. Reminded me of Junot Díaz but without the straightguy bravado. We’d love your help. Let us know what’s wrong with this preview of Lot by Bryan Washington. Your books are definitely a good way to warm up during this Arctic Chill going on. Sue wrote: "Hi Ben - thanks for the add. I just finished Porcupine City and I don't have the words to say how much I enjoyed it...."
Hi Ben - thanks for the add. I just finished Porcupine City and I don't have the words to say how much I enjoyed it. It is definitely one of those stories that will stay with me for a long time; not easily forgotten. Yay! You got your book on GR! I already added it on by TBR. Oohh you're reading Shadow of the Wind that is of my all time faves. So good! Enjoy! And can't wait for September 1st! Matt wrote: "Hi Ben. Glad we're friends! You book looks interesting. And the reviews have convinced me to check it out!" Thanks for friending me, dude! I hope you like the book! Ben wrote: "Lauraadriana wrote: "Thanks for adding me Ben! Still sighing over Griff and Vince :O)"
You're welcome! Thank you for the great review! :-)"
Thank you Ben for the brilliant story! It saved my Saturday...I am pimping out this book to all my friends like it's my job :O) People need to know!!! Lauraadriana wrote: "Thanks for adding me Ben! Still sighing over Griff and Vince :O)"